I found a cute little unfinished wooden tray at Hobby Lobby. 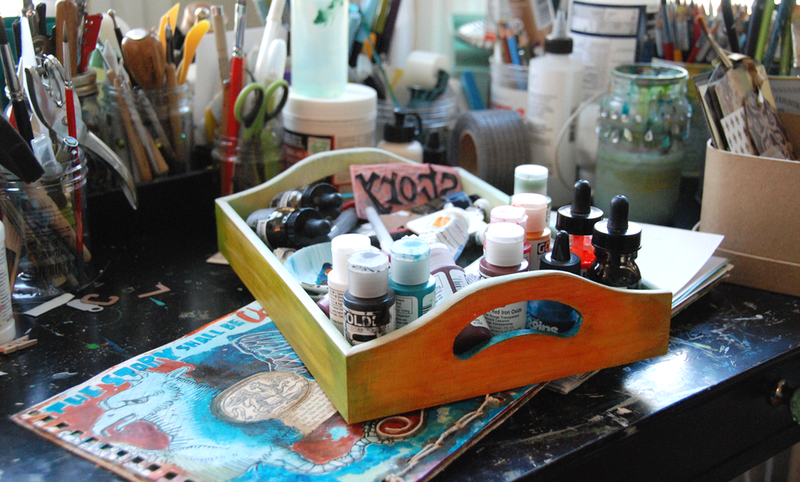 The tray looked like it could help wrangle the chaos of art supplies that pile up around me while I'm scribbling in my journals. Apparently, I currently own no other container that would do the job. I needed the tray. 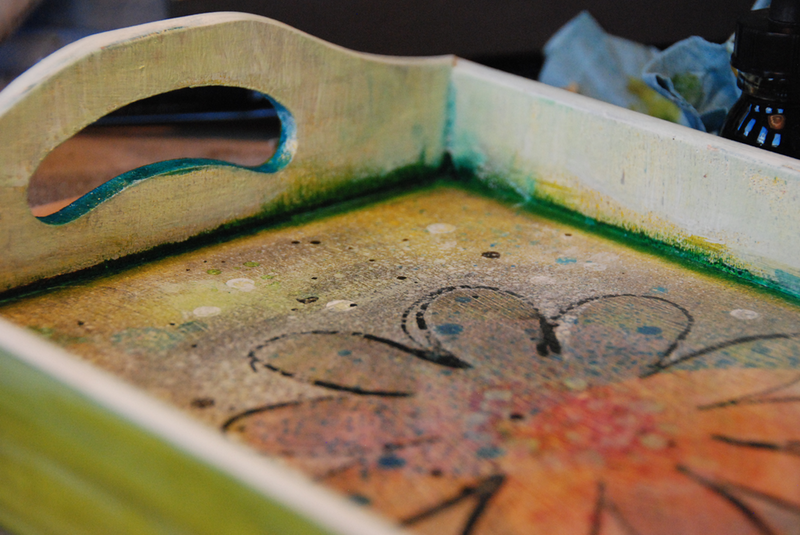 The tray turned out great with some happy colors sprayed, smeared, dripped, splattered, brushed and scraped. 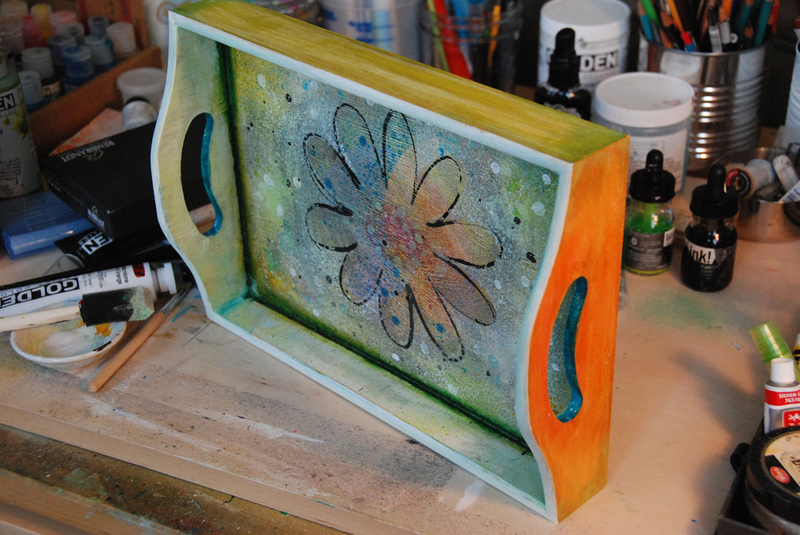 When the paint was mostly dry I promptly filled the tray with the awaiting clutter. Unfortunately all that colorful chaos covers up the pretty. I don't mind. I like knowing it's there while the tray is being useful. And finally, isn't it nice how I can easily clear away some clutter, make space for new inspiration and the next blank page? Functional and fabulous! Only thing is... I might need a bigger tray.